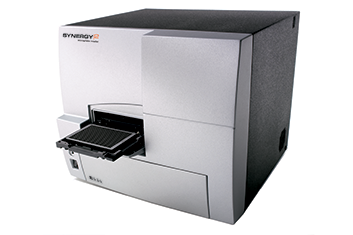 Synergy™ Neo2 Multi-Mode Microplate Reader delivers the speed and exceptional performance required for demanding applications. Its patented Hybrid Technology™ , with filter- and monochromator- based optics including multiple PMTs, ensures ultrafast, high performance in all detection modes without compromise. 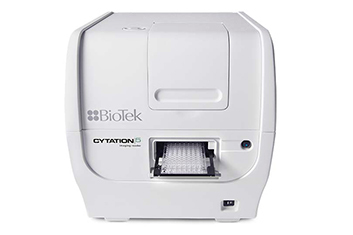 Cytation Multi-Mode readers offer modularity to meet your laboratory’s present workflows, and are upgradable to meet future requirements. 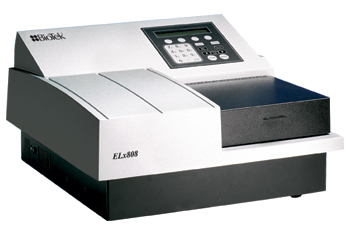 UV-Vis absorbance, fluorescence and luminescence detection are available detection modes, and you can add fluorescence microscopy to expanding the range of applications in single instrument. The included Gen5™ software is designed for uncomplicated data collection and processing for even the most complex assays. 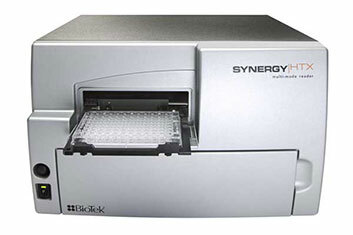 Synergy™ H1 is a configurable multi-mode microplate reader. 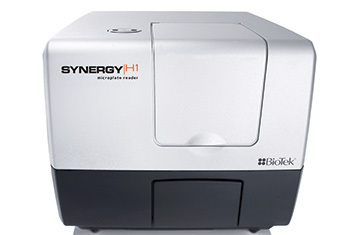 You can choose monochromator-base optics for flexibility, filter-based optics for sensitivity, or both…BioTek’s patent Hybrid Technology™ offers high-performance and applications versatility in a modular platform to expand as your laboratory’s needs change. Top and bottom fluorescence intensity, UV-visible absorbance and luminescence detection are available to meet many life science research requirements. 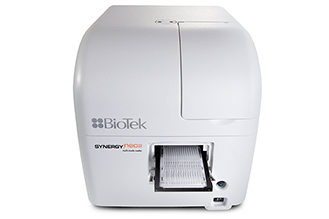 The Synergy 2 modular multi-mode reader offers deep blocking filters and dichroic mirrors for the best level of performance in fluorescence detection. The monochromator-based, independent absorbance optical path makes UV-Vis applications fast, simple and precise. By using dedicated optical paths for each individual detection mode, Synergy 2 offers uncompromised performance and the lowest limits of detection. 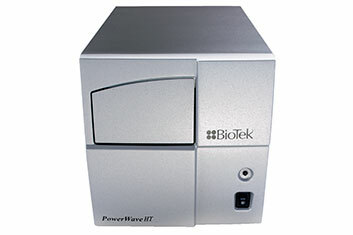 With super-fast plate reading speeds and a broad UV-Vis wavelength range, BioTek’s PowerWave HT Microplate Spectrophotometer is ideal for myriad applications, from direct quantitation of nucleic acids to full-scale high throughput operations that demand speed, accuracy and reliability. Rugged hardware, proven optical performance and a very small footprint, the PowerWave HT is uniquely designed to provide the most application flexibility while saving space both on the benchtop and in automated systems. 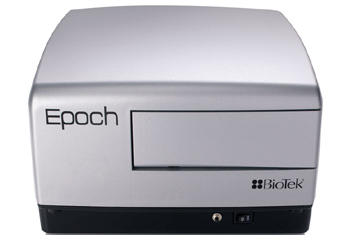 Epoch 2 Microplate Spectrophotometer offers excellent performance for UV-Vis measurements in microplates, cuvettes and in micro-volume samples with the available Take3 plate. Full function Gen5 Software is onboard, ready to read and analyze data at the touch of the screen! Endpoint, kinetic, spectral scanning are well area scanning modes, plus incubation and shaking keep your application options open! 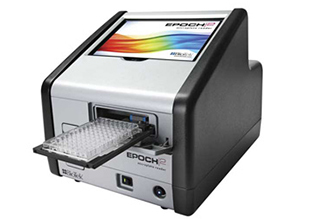 Epoch 2 is a fully contained microplate spectrophotometer workstation with available WiFi, Bluetooth and USB flash drive. 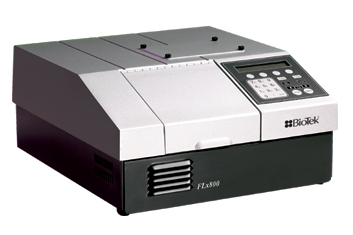 FLx800™ Fluorescence Reader combines excellent specifications and performance in a compact footprint. 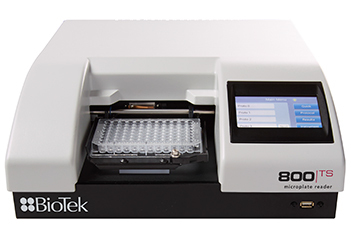 Gen5™ Software controls the FLx800 for complete data acquisition and analysis, and you’ll find both the hardware and software easy to use for a variety of applications, including fluorescence intensity and luminescence detection. An optional external dispenser module allows you to run applications such as ion channel assays and flash luminescence assays (e.g. luciferase, ATP) for great versatility at a much lower cost than comparable systems.